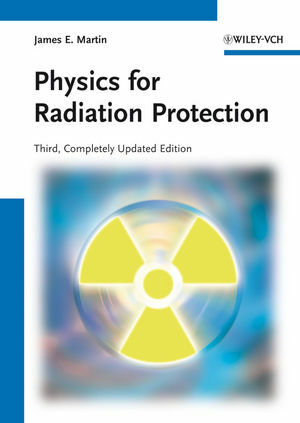 A much-needed working resource for health physicists and other radiation protection professionals, this volume presents clear, thorough, up-to-date explanations of the basic physics necessary to address real-world problems in radiation protection. Designed for readers with limited as well as basic science backgrounds, Physics for Radiation Protection emphasizes applied concepts and carefully illustrates all topics through examples as well as practice problems. This complete discussion of the basic concepts allows readers to advance their professional skills. JAMES E. MARTIN, PhD, CHP, is Associate Professor (Emeritus) at the University of Michigan where he has done research and teaching on environmental and public health aspects of radiation with an emphasis on radiation physics since 1982. He also served 25 years (1957-81) with the U.S. Public Health Service and Environmental Protection Agency, doing environmental assessments of radioactive materials including protection standards. His doctorate is in Radiological Health. Professor Martin is certified in Health Physics by the American Board of Health Physics and has published over 40 peer-reviewed papers and numerous articles and reports. Advisory Committee memberships include two National Academy of Science committees, the Science Advisory Board of the Environmental Protection Agency, and the U.S. Department of Energy.